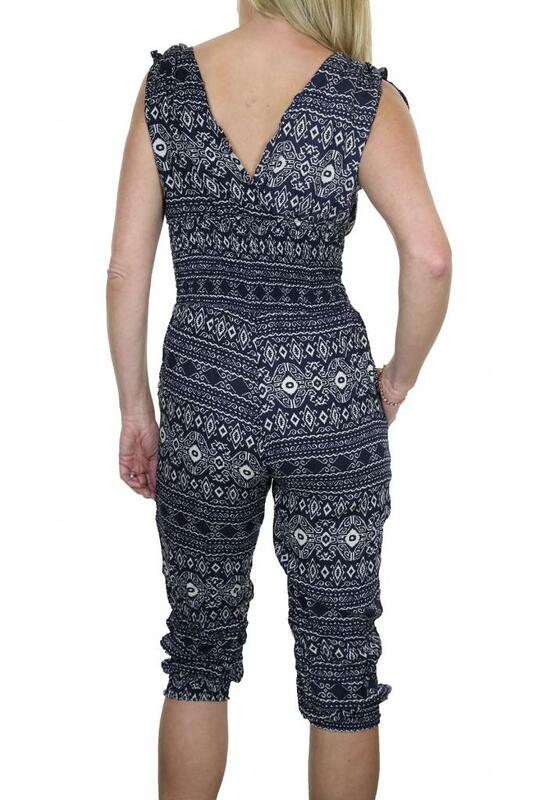 You are looking at an open V neck and back jumpsuit. The fabric has an all over print and is soft and flowing. There is a tie on the shoulder so the ruching can be adjusted.The waist is elasticated for a good fit.There are side pockets.The legs are cropped and are elasticated at the bottom cuff so can be pushed up the leg.This is a one size item and fits sizes 6-12.